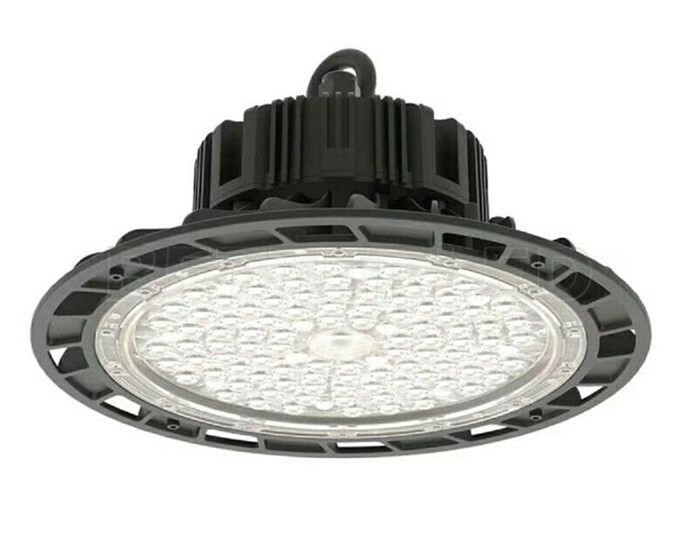 LQ-ILUE series UFO LED Highbay Light utilizes Super bright Lumiled 3030 LED Chip with SMD encapsulation. LED efficiency is more than 150lm/W, with an average Lifespan of more than 50,000 hours. With efficient heat sink, the LED continues to shine brightly after more than 50,000 hours of usage. The die-cast aluminum housing has been processed by anodization (an electrochemical process) that converts the metal surface into a decorative, durable, corrosion-resistant, anodic oxide finish, solid in structure. This product is built with qualified constant LED driver, which is state of the art to ensure a life time of usage.